That's the signature grill for all Mazda models. Compare with other SUVs in the market, it probably hits the sweet spot with its specs and pricing. I'm not so much of an SUV fan... drove XC90 for a short stint, CX9 definately matched up in terms for its drivability. 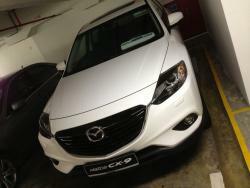 Recently mazda launched two new CX series, CX5 and now CX9. 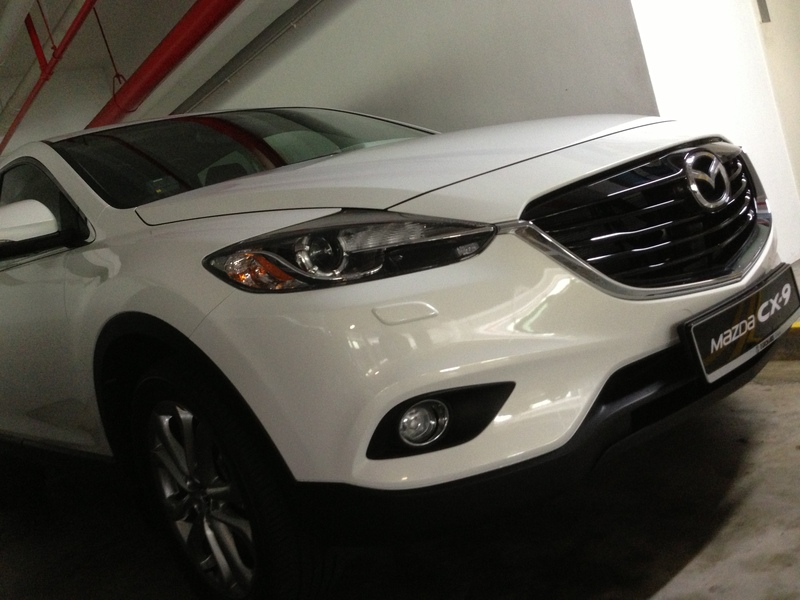 Actually i quite like the design and size of CX5. I find this CX9 a bit too bulky. The headlamps look like the last Maserati Quattroporte!!! Quite nice!!! But can the 3rd row really take full sized adults without sacrificing 2nd row legroom?? The on-paper 0-100kph also 10.1s, which is quite slow leh. CX-5 higher version is a good drive. I would not head to Mazda again if they are keeping their funny signature grill! With length over 5m, and width hitting 2m, this is one hell of a big car. And the price look very friendly to the wallet at 220k. my bad. I was equating CX7 with CX9 - thought they should have similar performance. Come come, name some cars bigger than a CX-9. Maybe Merc R class? Just checked, Width is just 1644 mm? less wider than 1 series? Good! Another SUV with 3rd row...But can't afford with the current COE. Lol, you already say it is their signature grill, so i guess they would continue keeping the current grill. Not sure how it performs. haha wanted to start a thread on this but ts beat me to it. quite interested in this car too, design honestly is not too bad. but 3.7l is kinda overkill IMO. a 2.5T would have been just nice. Will go check it out one of these days. That's the the width from middle of wheel to middle of wheel. The actual width is about 1936mm.